Staged in an actual working hair salon on Clerk Street (never before used as a Fringe venue), Foiled invites you to immerse yourself in the secret world of styling while Sabrina and her team attempt to perform mission impossible, hair-wise. ‘Bleach for the Stars’ specialises in celebrity dip dyes and off-kilter karaoke but today its doors are closed (again) so that manageress and chief style engineer Sabrina can get busy nominating herself for the prestigious Clipadvisor Salon of the Year award. When bald out-of-work actor Richie arrives for a career-saving hair-do, over-talented and under-employed assistant stylist Tanisha must convince Sabrina that you simply can't buy success. Except, of course, when you can. 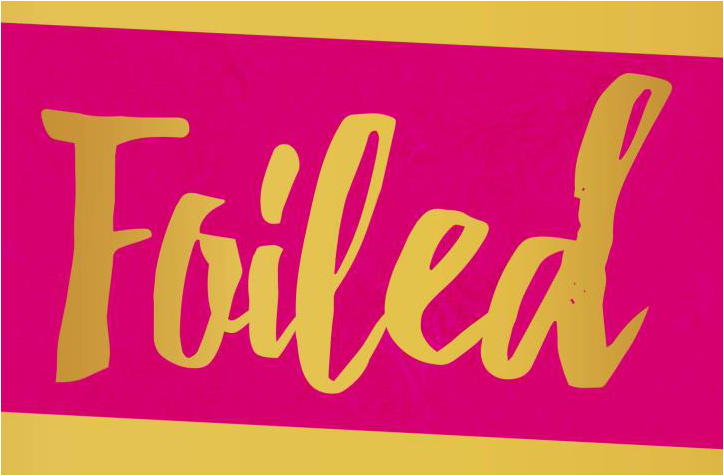 With a unique blend of big hair, satirical comedy, sing-along show tunes and beyond-the-grave psychic interventions, Foiled is the feel-good theatrical answer to the lamentably unasked question: ‘Something for the weekend, Prime Minister?’. Writer Beth Granville comments, "Over the years I’ve sat in hairdressers’ chairs for what would probably amount to months of my life. In those chairs (part-time confessionals) I have laughed, cried and shared some of my darkest secrets. With more mirrors than a fun house and sharp objects in such perilous proximity to people’s heads, the stakes are always high. Love or hate a trip to the hairdressers, everyone who’s been to one has a story and I’m excited to tell mine."